Supplements for Triathletes: What Works? Although it is sometimes difficult to get all of the nutrients needed through diet, it is almost always better to try to meet your nutrient needs through foods than supplements. Foods, especially fruits and vegetables, have enzymes that optimize bioavailability (how much you absorb) of nutrients within the food. When nutrients are isolated to be made into supplements some of those enzymes are lost. Bioavailability of supplements varies depending on many factors, including the supplement quality, how the supplement is manufactured, what the supplement is, time of day you take it, what you take it with, and on and on. Some popular supplements have been shown to have absorption rates of less than 5%! It is because of the variables above that you should strive to get the majority of your nutrients through an ultra-healthy diet. Put the same emphasis on diet as you do training. Of course, there are supplements that appear to benefit endurance athletes in well designed, double blind studies. Below is a summary of well-researched supplements. There are more supplements that may be effective. This list is simply a list of those that consistently show to be effective. The following supplements have consistently shown through quality, peer reviewed research to be effective for endurance athletes. Fish Oils/Omega 3’s – fish oils should be an essential supplement for every endurance athlete. These super powered anti-inflammatory and antioxidant supplements are one of the most well-researched and supported supplements. They fight free radicals and oxidative stress, and reduce post-exercise inflammation. *Processing makes a difference. Omega 3’s in the triglyceride form have shown to be superior. The huge majority of omega 3/fish oil supplements out there are in the ethyl ester form because this form is easier and cheaper to produce. 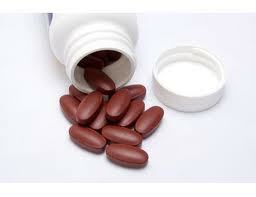 One over-the-counter brand that is in triglyceride form and can easily be found is Nordic Naturals. The ideal EPA to DHA ratio for athletes is 4:1. Most supplements are 2:1. This ratio is fine, but if you can find a 4:1 supplement (such as Nordic Naturals ProEPA) that is ideal. I recommend 1200-1800 mg per day with food. My top pick is Nordic Naturals ProEPA, which can be found online or in many health food stores and pharmacies. Vitamin C – strenuous exercise increases production of free radicals, which can damage muscle tissue, increase muscle soreness, and create inflammation. Vitamin C is an effective antioxidant, and can be taken in high quantities safely, easily, and cheaply. 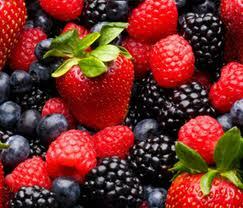 Antioxidants fight the production of free radicals. Vitamin C is also an immune booster and high intensity training decreases immune function. Most professional triathletes and ultramarathoners I see have deficient immune systems throughout the peak of their training. There are well run studies that show vitamin C does reduce post-exercise muscle pain and speed recovery, then there are well run studies that conclude it likely does not. My opinion…vitamin C is easy to take, is cheap, boosts the immune system, and probably helps with recovery. I recommend taking it throughout the peak training season. My top pick for a vitamin C supplement is the Emergen-C packets, as they are bioavailable and easy to take. One packet per day (1,000mg) is adequate. B12 (when indicated!) 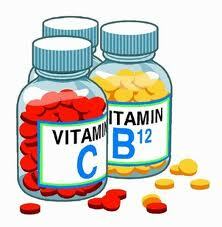 – when used correctly and at the appropriate time, B12 can help ward off anemia and pre-anemia. If you are monitoring your blood work during your training, a sudden change in the MPV (which indicates the shape of the red blood cells) and slight drop in hemoglobin and hematocrit suggest that it may be time to supplement B12 or increase your folate intake. Folate intake is best increased by using a vitamix type blender (see my blog post on Juicing). I have found that in high performing endurance athletes, B12 is often high in the blood, however deficient in intracellular (within the cell) micronutrient tests. More to come on this in a future blog post. B12 is best taken either sublingually (under the tongue), which can be found at almost any pharmacy or health food store, or via intramuscular injection, which costs more and typically requires a visit to a clinic. Antioxidants. From athletic performance and anti-aging to heart disease prevention and cancer treatment, antioxidants are touted as key components to fighting disease and optimizing wellness. Once considered the “fountain of youth”, these powerful, free radical fighting nutrients truly are amazing. They fight oxidative stress, a process that leads to cellular degradation and even cell death. Following their discovery, antioxidant supplements quickly found their way into endurance sports, and have been a mainstay supplement ever since. They are touted for their anti-inflammatory effects in athletes, their ability to offset free radicals, and aid in recovering from training sessions. There is a large body of research on antioxidants for endurance athletes. The conclusions are nothing short of…well, completely confusing. Antioxidants are most abundant in nature in fruits and vegetables. Antioxidant is a generic term for a nutrient or organic chemical that combats oxidative stress. There are many different antioxidants, and several different “types”. Three major types are micronutrients, enzymes, and phytochemicals (which include polyphenols). Well known micronutrient antioxidants include vitamins A, C, and E, and CoQ10. Many enzyme and phytochemical antioxidants are unnamed. Thousands of different ones have been identified, and thousands more are thought to exist. These too are found abundantly in fruits and vegetables. Yes, antioxidants do benefit endurance athletes. They have shown in legitimate research to decrease perceived exertion in endurance athletes during exercise, significantly reduce muscle soreness and inflammation following workouts, and significantly decrease oxidative DNA damage. However, our approach of isolating antioxidants in highly concentrated supplements may not be as effective as we once hoped or suspected. As is almost always the case, nature’s delivery method is far more effective than ours. I have made the comment in past posts that I believe we will one day find out that the enzymes and phytonutrients present alongside antioxidants in nature are integral to making certain nutrients absorbable and useful to their full potential. Most supplements do not contain the enzymes and phytonutrients, which are often lost in processing. A couple recent studies came to this conclusion. In one study, supplemental vitamins C and E showed no reduction in markers of oxidative DNA damage, however the authors found that in those individuals studied that had a higher intake of fruits and vegetables, decreased oxidative DNA damage was noted. In the other study, researchers studied the effects of a powdered fruit/vegetable juice concentrate versus supplemental vitamins C and E. They found that although the powdered juice concentrate had much less vitamins C and E, the antioxidant effects were significantly greater. They concluded this to be related to phytonutrients, which remain present in some powdered fruit/vege juice concentrates and whole food supplements (Cancer Epidemiol Biomarkers Prev 2000; 9(7): 647-52 and Med Sci Sports Exerc 2006; 38:6, pp1098-1105). Antioxidant supplementation may not be all good news, however. There are a couple very important considerations for endurance athletes. The first is that some polyphenols appear to inhibit iron absorption (Penn State 2010, August 23, Polyphenol antioxidants inhibit iron absorption). As an example, green tea, which is known to be high in polyphenols, has been shown to inhibit iron absorption. This is a big deal, as iron is the key micronutrient for red blood cell production and function (see blog post on red blood cell turnover). It is also a micronutrient that has a high turnover rate in endurance athletes. Supplementing iron blindly (aka without monitoring blood levels) is generally considered to be a poor decision, as an overabundance of iron in the system is linked to several serious health problems, including cancer risk (see my blog post on supplementing iron for more information). Therefore, it is important to be aware of the relationship between polyphenols and iron, and thus pay attention to where you are getting your antioxidants. Avoid the polyphenol sources, and stick with the fruits and veges ideally. Interestingly, Vitamin C, a powerful antioxidant, enhances iron absorption. The second consideration is that over-supplementing antioxidants (levels not established) may actually elicit a pro-oxidative effect, which is the opposite of the desired anti-oxidative effect. In addition, some recent research suggests that completely inhibiting post-exercise inflammation may be detrimental to recovery. So, in summary, yes, supplementing antioxidants appears to be beneficial, however the form of the supplement matters. Research continues to support combination antioxidant supplements, such as those containing a combination of vitamins A, C, E, and selenium. However, powder or whole food supplemental forms of antioxidants appear to be superior. But, the most effective form is through eating lots of fruits and vegetables. The key in supplementing is to keep it in moderation. Unfortunately, we don’t know how much is too much yet, hopefully this will be established soon. My recommendation, get a Vitamix (or akin) and fill it with fruits and veges of many different colors each day. Have a fruit smoothie for breakfast. Eat lots of salads. Do these things and you will get plenty of unadulterated, wonderfully bioavailable antioxidants that are partnered with their enhancing phytonutrients and enzymes. If you just can’t make this happen, reach for the supplements (of the type mentioned above), because they do appear to work, just keep it in moderation by sticking to the recommendations on the bottles.